Specialty steels – also referred to as alloy steel – contain additional alloyed materials that deliver special properties to the final product. Specialty steels are engineered to provide superior performance under specific conditions. For bearings such as roller bearings and ball bearings, specialty steels would be selected versus other bearing materials to deliver properties that can best withstand the operating conditions the bearings will be exposed to. For any application that requires a device with rotating or rolling components, the choice of both bearing and seal is essential. Allowing for great versatility and flexibility, bearings are used in every industry that involves motion. In some industrial jobs, standard bearings simply can’t provide the precision needed for the application. This is where extra precision bearings come into play. 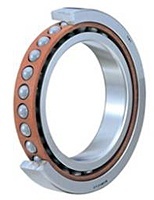 These bearings allow for extra fine tolerance and precision, and are ideal for applications with stringent requirements for speed (RPM) and guidance accuracy. There are two primary types of extra precision bearings: deep groove bearings and angular contact bearings. In sensitive food-grade applications and corrosive environments, selecting the proper bearings is critical for ensuring optimal system longevity and reliability. In these harsh settings, bearings must provide high performance and durability without the need for frequent maintenance or replacement. Over the years, bearing manufacturers have developed a range of solutions designed to stand up to the general wear and tear inherent in applications involving constant exposure to corrosive elements or ongoing, high-pressure washdowns. 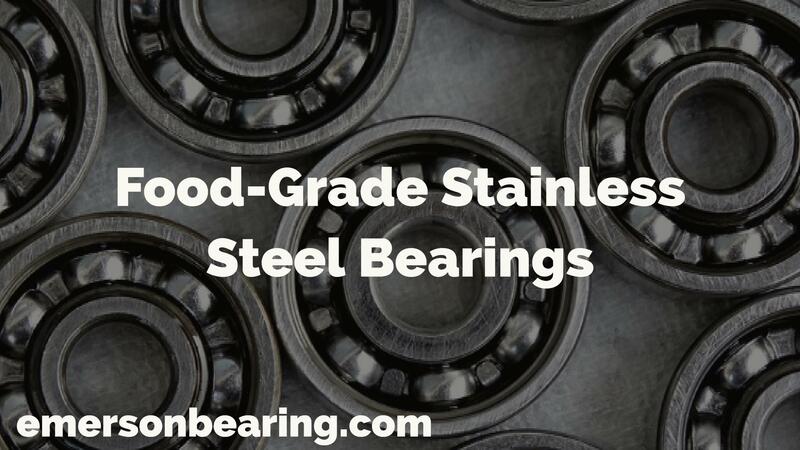 For instance, stainless steel bearings, solid lube, and seals and slingers can be used to create unique components that deliver high performance and a long life span while resisting bearing contamination. Here at Emerson Bearing, we’re proud to offer NTN Sentinel Series stainless steel bearings, which are specifically designed for use in these food-grade settings. No matter what the specific application or industry focus, efficiency is key for ensuring optimized operations in industrial facilities. But high efficiency means more than just cutting-edge equipment and comprehensive quality assurance; it also means making use of high-quality, reliable components in all machinery and equipment. Doing whatever it takes to keep the machines running. 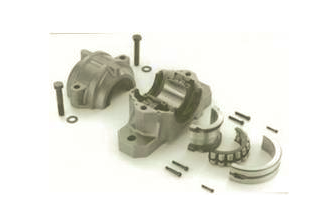 Split roller bearings, in particular, offer great versatility and wide-reaching benefits. Allowing for reduced maintenance and fewer replacements than traditional solid roller bearings, split bearings are used in a range of applications to reduce downtime, save on costs, and increase overall safety. Quick and easy to install and replace, these versatile components are essential for any facility requiring consistent operational efficiency. They are available as direct drop in replacements dimensionally to standard SAF Spherical Roller and Cylindrical Roller units with both metric and inch shaft dimensions. Cam followers and cam follower bearings are essential components in many industrial operations involving conveyors or process transfer lines. Used in a wide range of industries including power generation, metal processing, packaging, food processing, transportation, automation, and recreation, cam followers are able to be easily mounted and are well-suited for many cam or track roller applications with moderate loads and shock. Proper use of cam follower bearings helps ensure optimized performance and longevity. Developed to replace the standard bearing and bolt configuration, this type of roller bearing is designed to be more efficient, more reliable, and considerably easier to maintain than their predecessors. At Emerson Bearing, we have the expertise to walk you through the process of choosing the right bearings for your specific needs. Throughout the years, ball and roller bearings have seen significant reductions in price while quality has improved. 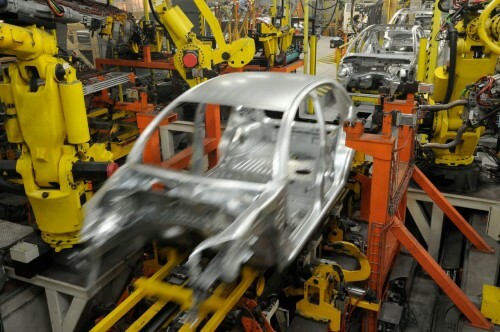 Several factors have played a role in this, but production process changes and material quality improvements have most significantly changed the face of the industry. With a constant cross section, thin section bearings allow for significant space savings and overall system weight reduction — ideal advantages when designing sophisticated and critical-application products. The cross section, which is usually square, remains constant even in bearings with large bore diameters. 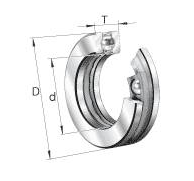 Often used when space limitations or specific design configurations prevent the use of conventional bearings, thin section bearings allow for versatility in many applications and come in a range of contact angle designs, including radial contact, angular contact, and four-point contact. At Emerson Bearing, we are pleased to announce that we now carry the new Super Precision product line, which includes both roller bearings and ball bearings. Comprised of over 200 bearings across nine different product lines, this is a truly exciting addition to our catalog.